Every company aspires to touch the par of excellence by reaching the maximum customers, right? But do you think getting the right visitors to whom you can wind a forever bonding is an easy task? No, it’s not. For receiving the valuable customers, you must optimise your website in the right way. It will help the users to close a deal with your company with utmost confidence. Through this blog, you can collect all the details you should know about CRO (Conversion Ratio Optimisation), including the buying cycle and how to optimise your website correctly to get the maximum reach. This is the “awareness” stage when a customer identifies that he needs something. It can be a product or services or anything. This is also a point where he finds you as the best option to resolve his need or query. This a stage of evaluation or consideration. Here, your visitor starts evaluating your product and start finding reasons on how your product can completely satisfy his requirement. He also will compare your offerings with other competitive sites to know how your products are different and better than them. This is the purchase stage. In this stage, the users will decide to buy your product after considering and evaluating all the details about the product. Here the users will be converted to a customer. Now as you are thorough about the buying cycle, let us move towards the website optimisation. Check out page optimisation is one of the essential strategies you must do. When a customer initiates booking a product from your company and is at the final stage, what if they leave your website at the last moment without completing the process? You will lose a customer, right? This can happen if your checkout page is slow, distractive or confusing. No visitors would love to pay their valuable time on such a website. People will lose their attention, and they will leave the webpage at the very next moment. To avoid this, you can adopt a faster checkout or do things to engage the customers. You can make them engaged by showing a progress bar. It will help them know exactly in which stage they are now or how much minutes it will take to complete the whole process. You should also avoid fields with unwanted questions which can irritate the customers and make them leave your site. Ask them the relevant and required queries and let them fill the details appropriately. Have you ever noticed a registration or sign up field while entering into an e-commerce website? Yes, right? But do you keep visiting the site regularly? Most of the people won’t do that. People are like commuters. They commute from one website to another according to their needs or for better offers. Most of them won’t prefer to sign up on every site they visit until they find them reliable and perfect to satisfy their requirements. If you force them to register on your website, they will leave you and move to another site. Registration is an extra step in the buying process. You can avoid losing customers due to this by allowing guest accounts. It can simplify the process for the new customers till they feel you are the best option for them. 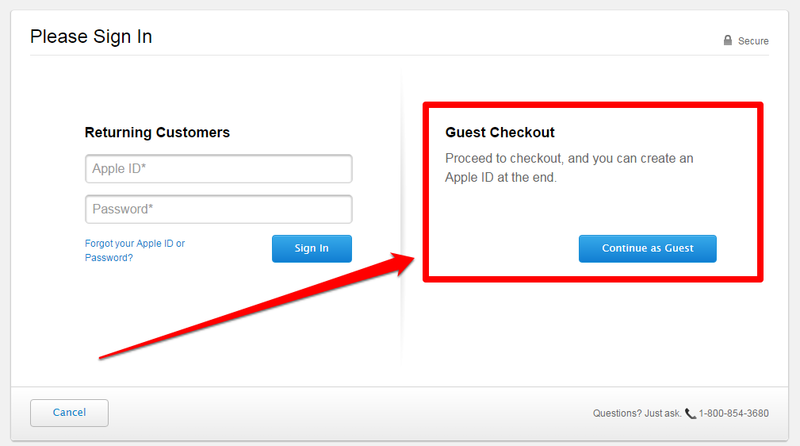 Guest accounts will help the visitors to purchase from your store without signing in or saving any information in your database. Shipping charges, taxes and other charges are common while purchasing products online. There are some websites which show all these charges at the end of the checkout process. If it crosses the budget of the customer, they will leave the page and go for better options. It is always better to disclose the total amount during the initial process itself. This will help them to choose the right product which can perfectly fit into their budget. You can also use Dynamic shipping policy. It will display the real-time shipping rates to the visitors based on their address. Most of the users add a lot of products in their cart but leave the page without buying it. How will you resolve this problem and reduce the cart abandonment? This can be possible through Onsite retargeting. This will work by monitoring the user’s behaviour. 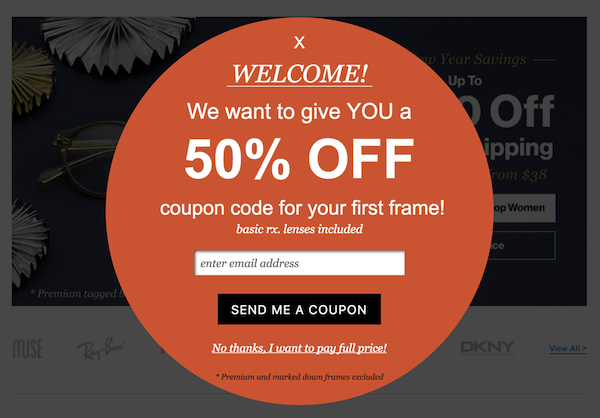 When the user’s behaviour indicates, they are about to leave your website, you can grab their attention back through popup messages which can prompt them to purchase the product. Delivering free shipping, till a limited period. You can show deadlines and discounts for limited customers. Every visitor goes through the buying cycle before becoming your customer. Keep all the information above in your grip and start applying it from today. Do you want to optimise your Ecommerce website successfully with no distractions or confusions? Contact Ralecon, the best digital marketing agency in Bangalore. We are always ready to help you with our premium services.